This call has sold. But if you like it, I will try and reproduce it. The colors may not be in this exact order. This call was poured in several different steps. It’s a one of a kind. 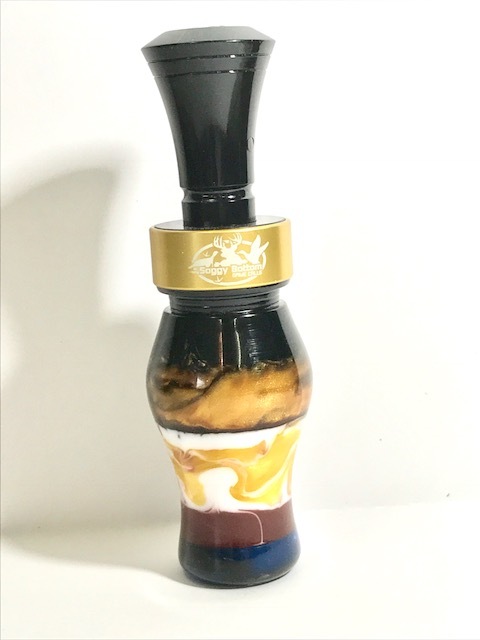 It is a single reed timber. Calls are our passion. You want a custom design, contact us and let us know.